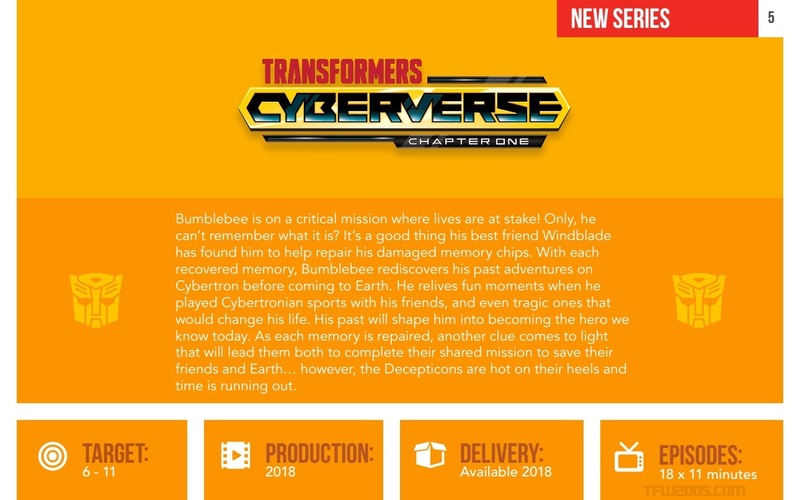 With special thanks to Hasbro Studios who brought us our first look at Rescue Bots Academy, comes much awaited new info from Transformers: Cyberverse. The first season (Chapter 1) of the show will only consist of 18 Episodes which is quite short compared to Rescue Bots Academy’s whopping 52 episode count. 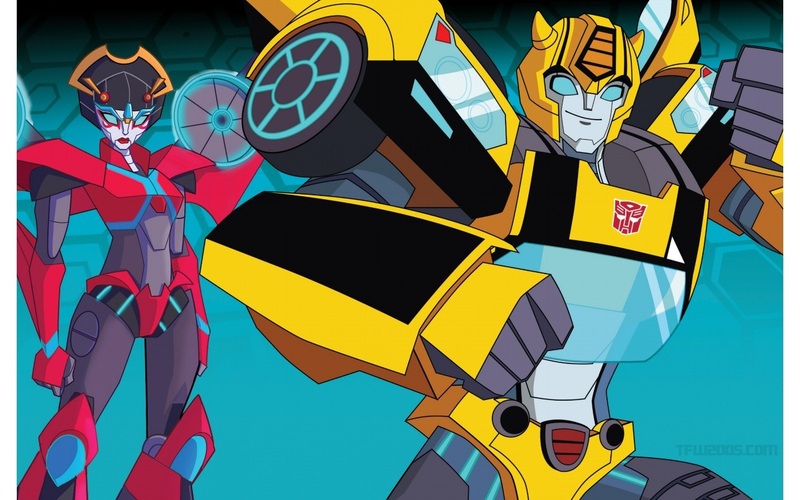 Transformers: Cyberverse will be available in 2018. The series is produced by Boulder Media Limited, Ireland. We also have a new image from the show which is a new version of the first image we received. Check it out after the jump. So only about 9 episodes. 2018's gonna be pretty light on Transformers content. I love Bumblebee. I like Windblade. Not keen on only 11 minute episodes. At least the season pass on Amazon will be cheap. I live in the boonies. $70 for Hughsnet. Which means its on a meter. So unless I want to stay up until from 2-7 am streaming is out of the question. wtf. Sorry to hear that. Did not expect that something like this would be possible in this day and age. How can you not afford that? Streaming costs basically nothing. I'm sharing for example my Netflix with 3 friends and everyone pays 3€. Cable is more expensive. I have only Netflix and no broadcasting TV anymore. No. Some of us can't afford to stream where we live. 2: I also hope that Hasbro ditches airing this on Cartoon Network and goes straight for a streaming platform. CN has treated its action cartoons pretty poorly for a long time now (Animated getting a death slot despite being co-produced by the channel happened a decade ago now), and shows like Netflix's Voltron show how much better-serialized action shows can thrive on streaming. 1: I hope the storyline is a lot more serialized and feels more weighty than NuRID. While I wouldn't say I dislike NuRID, I would say I was a bit disappointed that for most of the episodes, it always felt like there were way more important things going on in the universe than what Bee and Crew were doing and that the show should have focused on the important things instead. Some of this info is stuff we've heard before but it does look like this series will have it's episode goes for 11 minutes which I've long suspected to be the case given that most cartoon shows nowadays have that going as a new trend. I just noticed something about the image on this article. Bumblebee\'s design has had slight and very welcome tweek done to it. He now has five fingers instead of just four. Voltron is on Netflix and not everyone has that, Ben 10 is currently more comedy focused, Korra was nowhere near as popular as Nick wanted and had to screw around with the scheduling and the viewing dropped off just like Tron Uprising, Dragon Ball Super isn't on TV unless you're pulling all-nighters, AA has a multi-million dollar movie franchise behind it (as does SW:Rebels) and Fate/Stay is definitely NOT for children. I think you missed the point of what I was quoting. They said there was no demand for action cartoons, I provided a list that says otherwise, and the list is much larger than even that. Korra the viewing didn't drop off as much as you think. Nickelodeon messed with the schedule for other reasons, and wasn't sure about the content towards the end on parent reactions. DragonBall super is on TV outside of all nighters, you're thinking the second airing. The first airing is still in a prime Saturday night spot. Popularity of Voltron on Netflix, yes a streaming service, does tend to prove there is an audience for those kinds of toons. And excuse me for not listing the modern Pretty Cure series or other various action animes and shows that are okay for kids, but there are plenty of those too. The longevity of Kamen Rider and Super Sentai proves that so. And TMNT ran its course, but is coming back with a new series starting younger so it can run longer and tell other less covered stories from their younger days. Ben 10 has always been heavy on the comedy. The entire premise is comedic in nature(boy finds alien watch and doesn't know how it works). It got serious later in the AF series when they tried to make it more like the other DC toons. Comedy doesn't mean it can't have action or isn't an action adventure cartoon. A good show can cover all of it. Comedy is often needed to break tension. That's what made Airbender and other series work so well. They were heavy action dramas, but the comedy kept it from becoming overbearing and bleak. My point was the fact there is an audience for action adventure animation, and to say otherwise is a blatant lie. Even star vs the forces of evil, while it may be parody and comedy focused, is still at it's core an action adventure show. As is Steven Universe and it's doing absolutely wonderful too with its character building focused story telling, but yes uses comedy to offset the bleakness of the story itself. It's one of the amazing things about "Adventure Time" itself too. The comedy and abstract art is to offset how bleak the story itself actually is. Ninjago again is similar in that regard, action and comedy heavy, but many story elements need that comedy to offset it because of how bleak some of the story actually is. The genre has been doing so well, that Disney XD had even expanded into Live action kids shows that are action/adventure focused. Lab Rats, Mighty Med, KC Undercover, Mech X4, and they've proven to be doing rather well as fully original new series for kids that have lasted seasons now. So I have faith that Hasbro's new toons will do fine. As long as they are on a station that'll treat them fairly as opposed to how CN tends to favor their own shows and shuffles anything they licensed to air to near non-existent time slots. That's on CN for killing great shows. Thundercats, He-man 2k, various transformers series, and other toons. If it's not CN original or Lego, CN shuffles it to an obscene time slot. I've just about given up all hope that this franchise will ever reach the same level of creativity and quality that gave us Beast Wars and Beast Machines. Yeah, I didn't like Beast Machines as a sequel to Beast Wars, but I'll give it credit, it took risks. Beast Wars by itself was a huge gamble, and it paid off by making the brand relevant again. Beast Machines took it's own risks and came out having some genuinely great writing and creative ideas. That said, this show might not be a big risk-taking project, but I'm not writing it off personally until I see it in action. You should check out Motercity. It's a cartoon made in flash but you wouldn't know it by seeing it in action. Wakfu, from France, was also animated in flash, and really well too! Most of the time, anyway, though the first two seasons have their share of odd looking, stiff animation. I think the thing to remember is that Steven Universe typically has 11 minute episodes and they can get a great message across very effectively within that time. NuRID did a couple of very interesting things in the first season and gave us new and interesting characters. The problem is that later on it tried to to do the fanservice thing that Animated and Prime did with the Starscream arc etc and that brought the show down a lot. Had they kept the course of the first season and ignored the whining NuRID would have been the first entertaining TF cartoon in a long while. You mean like Voltron on Netflix? Or Korra/Last Airbender? Or the CG TMNT that audiences loved so much? Or Star Wars Rebels? Or Ben 10? Or Justice League? Or Spiderman? Or Avengers Assemble? Or Dragon Ball Supers over in Japan and America? Or countless other praised series from Japan like the Fate/Stay series? You know what, I'm up for this. A series based around flashbacks sounds like an awesome way to see multiple Transformer characters and lore without having them bog down the plot. Sort of like Batman: The Brave and the Bold. One ep could involve Jazz on some sort of espionage mission. Next ep could be a science adventure with Perceptor or Brainstorm. Just a whole series of vignettes about Transformers. From the info I got, they are using Toon Boom Harmony for the animation. Flash gets a bad rep because its easy to abuse for cheap animation, but like most things, it a tool that's only as good as the one who uses it. I'm not calling you a moron, but that's a very moronic thing to say. It wasn't exactly moronic, but it was a bit jerky. I loath Animated because of it's fanservice, it's lack of leftfield characters and just how full it is of itself, but I don't have to talk it down every chance I get. I hope Cyberverse isn't like that. It would be nice to finally see characters like Mindwipe, Cyclonus, the Technobots or Brainstorm in a cartoon again, but I really doubt it.